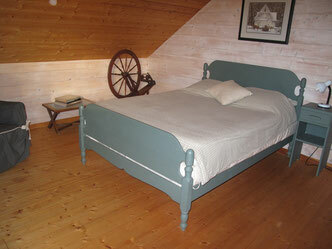 Bed & Breakfast in the southwest of France - Site de chambres-erable ! The entire first floor is reserved for guests. There are two bedrooms, a cozy sitting room and a decor which reveals the origins of your hostess . The bathroom is shared only if guests are family or friends. Breakfast - composed of fresh, local, organic and homegrown or homemade products - is served in the main dining area or outdoors on the terrace in warm weather. Fees are shown on the page "Tarifs & Reservations". Reservations are made by telephone (33 613 863 052) or e-mail. 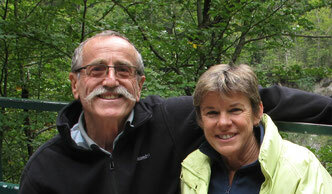 Melissa is an English-speaking Canadian who has lived in this region of France for 34 years. Albert, a retired schoolteacher, avid gardener and amateur beekeeper, speaks fluent Spanish after living some time in Latin America. Both Albert and Melissa are concerned environmentalists and their wooden frame house was built following ecological methods. Nature-lovers, they feel very fortunate to live in this village with its old homes and walls built of stones from the nearby river. The region of Bearn sits proudly at the foot of the majestic Pyrenees mountains. Its capital city, Pau was the birthplace of King Henri IV, a favourite of the French monarchy. The Jurançon vineyards produce a white wine known to amateurs as the "wine of kings". 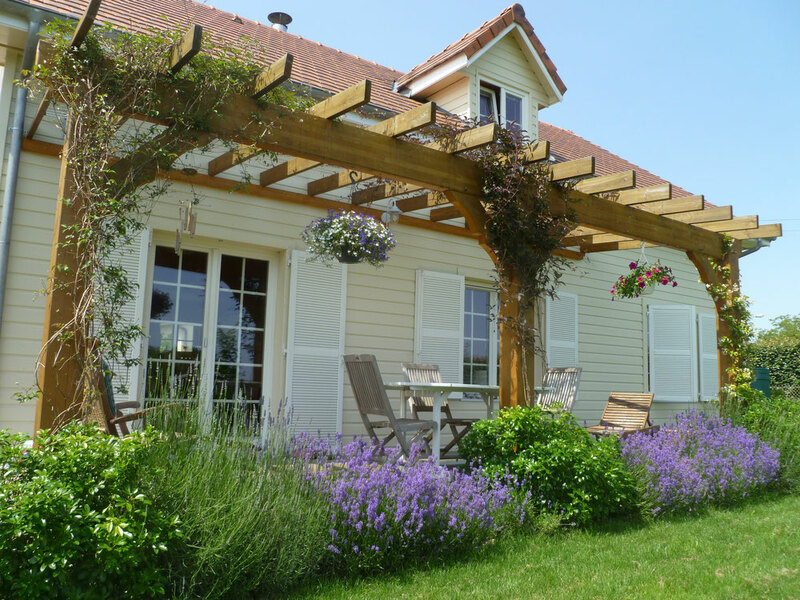 Our B&B is located in Labastide-Cézéracq, a quiet and typical Bearnais village. We are ideally situated: 5 kms from the A64 motorway, 20 minutes from Pau, 40 minutes from Lourdes, an hour from the Atlantic coast and the same time distance to the Spanish border.